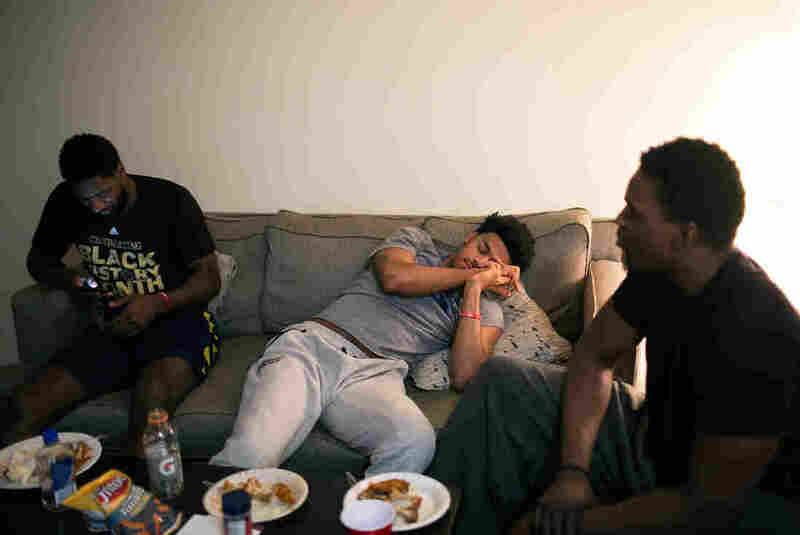 Playing For A Chance: The Promise And Pain Of The NBA's Minor League Everyone knows about the multimillion-dollar salaries and celebrity status of NBA players. But in the shadows of the NBA, men toil in the relative obscurity of the D-League to keep their dream alive. Players for the Canton Charge end a break in their game against the Idaho Stampede by bumping fists, during the NBA D-League Showcase at the Kaiser Permanente Arena in Santa Cruz, Calif., on Jan. 6. 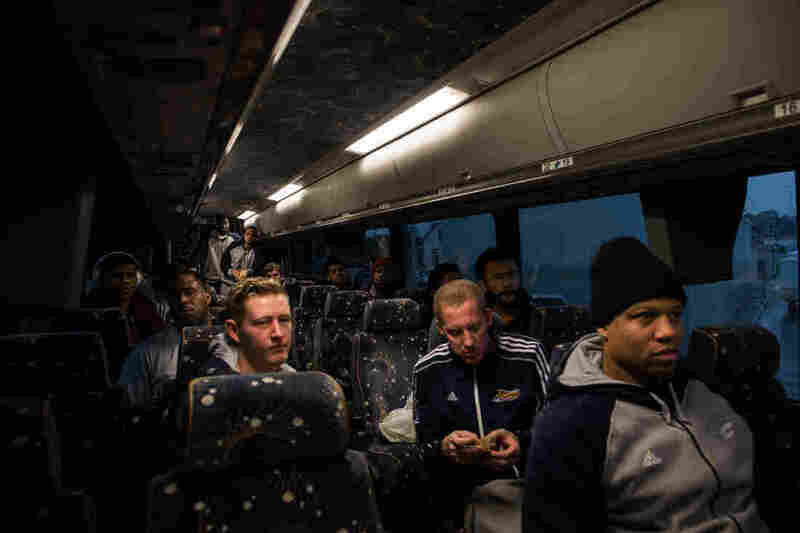 Players in the D-League, professional basketball's minor league, often forgo more lucrative careers playing overseas to toil in obscurity for a shot at the NBA. It's a job where the hours are long, you're constantly traveling, and the pay, frankly, stinks. On top of that, there are people doing pretty much what you do — except their jobs, the money, the benefits, the perks are astronomically better. And yet, the people who do that first job do it willingly. Such is life in pro basketball's D-League, the minors of the NBA. Players in the D-League — D is for development — are really good at basketball. Some might even be good enough to play in the NBA. But it's very different in this parallel universe. The NBA is the dream. It's where players are celebrities and the stars earn $15 million, $20 million or more. D-League pay averages about $20,000 for a 5 1/2-month season. The players live in relative obscurity in towns like Sioux Falls, S.D., Reno, Nev., and Canton, Ohio. It's an unusual workplace, built on a fundamental tension. Everyone wants to stand out, to get noticed. But they have to get there indirectly — by building something together first. 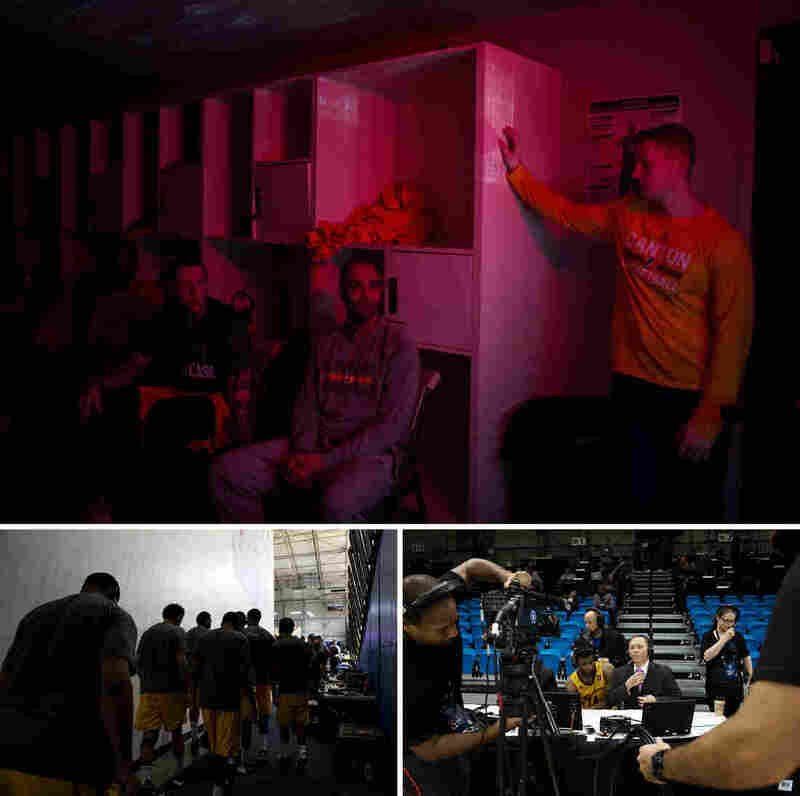 For the Canton Charge — the team we follow on their journey through the 2015-16 D-League season — the building process begins almost immediately after the draft. At the team's first meeting of the season, head coach Jordi Fernandez tells his players what to expect. "You can be a great college player, you can be the best player in the world, but I don't care," he says. "We got rid of a lot of good players last year, because they were selfish. They would not support their teammates. So that's the No. 1 thing." Sixteen players show up in Canton — some were drafted, some were invited, some are returning from last year. Twelve will make the team, which is affiliated with the NBA's Cleveland Cavaliers. The first practice is intense. It ends with what will become the team's trademark way to break a huddle. They join hands above their heads, the coach says, "Together on 3 — 1, 2, 3." And the team responds: "Together." "Together" is the first goal in this workplace. But there's an unavoidable obstacle — how to achieve "together" when everyone is chasing his own dream. The Charge open their 50-game schedule a couple of weeks after the draft. It's a Saturday in mid-November. They look like a new team, struggling at times to play together. They lose the game, and lose again a few nights later. Starting point guard Quinn Cook is a D-League rookie, and in that second game, he plays like it. He makes mistakes. He misses a lot of shots. His frustration bubbles over on the court when he gets a technical foul for protesting a call. "I played terrible," Cook says. In another early season loss, he missed 14 of 17 shots. He says he was in a funk. He didn't want to be in the D-League. And it's understandable, considering his life just two months before. Cook was at the White House, being honored with his college team, Duke University, for winning the 2015 men's national championship. Cook even got singled out by President Obama, for providing "senior leadership, setting a school all-time assists-to-turnover record." Cook's life at the top of men's college basketball was the top: charter flights, the best hotels, packed arenas and national TV audiences. When draft time rolls around, Duke players often are the guys who become instant NBA millionaires. Three of Cook's championship-winning teammates were selected in the draft's first round. Cook tweeted out his congratulations and figured he'd be next, probably in the second round. After all, he was a starter on the championship team like his three buddies. 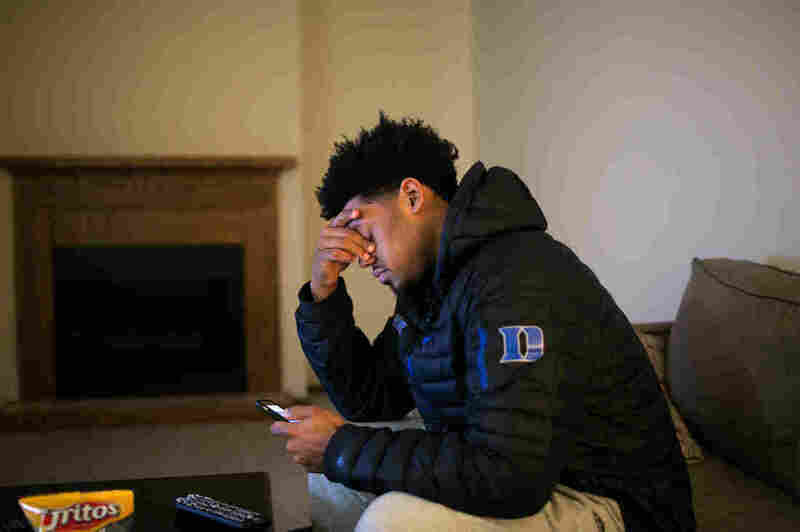 And before the draft, two NBA teams told Cook they'd pick him. But Cook's name never got called. He watched the draft from his mom's apartment. "It was painful. It was painful, just because I've had this vision in my head how I would have celebrated, and I was sitting there and the scenario was perfect," Cook recalls. "I knew my mom would be next to me and my sister, just, my brother would be there, and it just was perfect ... but it never happened." Now, he's in the D-League. And while his early season struggles continue, Canton's losses start to mount. There's an ugly 23-point drubbing at the hands of the Iowa Energy. After the game, Canton Charge assistant coach Damon Jones doesn't hold back. He rips into the team about how poorly they played against an undermanned opponent. No one wants to be on the receiving end of something like that — especially from someone like Damon Jones. As a player, he fought his way up from basketball's minor leagues to a long, successful career in the NBA. "I was in your same position," Jones tells the Canton players. "I didn't get drafted straight to the NBA. So I appreciate the grind. All I'm saying is don't take it for granted. So when I tell you we gotta guard people, guard people. We gotta share the ball. We gotta do all the little things. Real talk, from the heart, think about that." This, then, is Canton's bumpy start. "Together on 3" seems more slogan than reality. By mid-December, the Charge have one of the worst records in the D-League. The tension of team versus individual is at its highest level at an event called the D-League Showcase. It's early January now, and all 19 D-League teams converge on Santa Cruz, Calif. At the Showcase, each team plays twice, in front of scouts and executives from every NBA team. Scouts from Europe and Asia are there too. Scouts are always at D-League games, but not this many in one place. This is where the temptation to show off is greatest. And it'll put to the test all the messages about team and togetherness Canton head coach Jordi Fernandez constantly preaches to the Charge. The D-League is incredibly competitive, especially this year. The job market in the NBA is tight. As the Showcase begins, there are only five open roster spots. Normally, there are twice as many or more. "There are so many good basketball players. 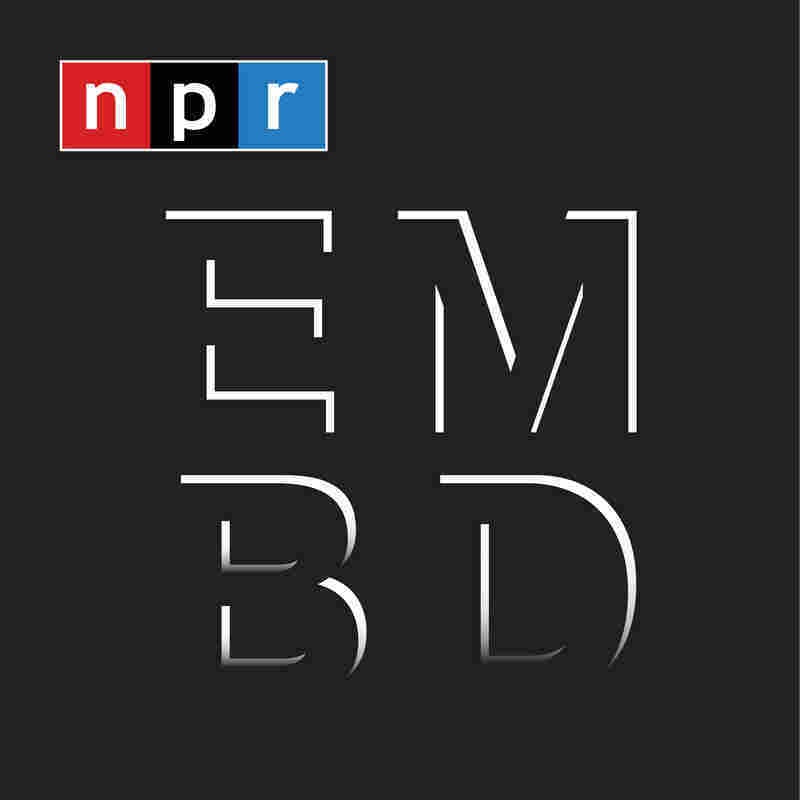 Our sport is the hardest to make by far, relative to football or baseball," says Daryl Morey, the general manager of the NBA's Houston Rockets. He says it's simple math — there are fewer roster spots, fewer jobs in the NBA. And it's a global game. To make the league, Morey says, a player needs to have "almost elite talent in something." Canton wins both of its Showcase games. "We got better," says Fernandez. "I'm also happy everybody could see them play the right way and play hard." Still, that doesn't turn into any Canton call-ups from the NBA — and only two of some 200 D-League players at the Showcase get the call. Fernandez says there's plenty of work still to be done to develop the team and the players. And if that development happens, Fernandez says, he wants them gone. "I believe all our guys can get a job next season," he says. "If we have zero returnings next year, that means, for me, I've done my job." 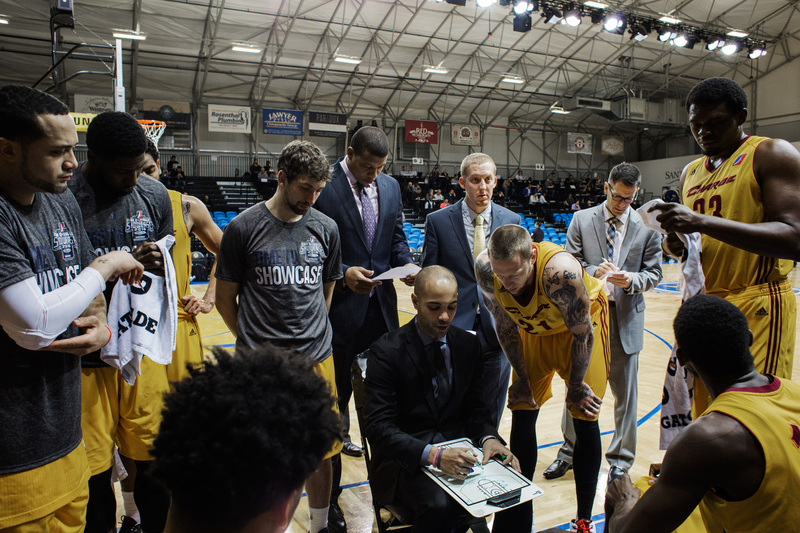 Canton head coach Jordi Fernandez (center) goes over plays with the team during a break in its game against the Idaho Stampede at the NBA D-League Showcase. It's the contradiction of the D-League workplace: The boss gets close to his employees, teaches them, screams at them, all in an effort to make them better at what they do. And when they get better, he wants them to leave. Being an NBA coach is different. The NBA is a destination. You get there, you want to stay. And you get better in order to stay longer. In the D-League, you've got a few months to improve and, you hope, move on. For the Charge, the first couple of months of the season have been about getting better, trying to meld. After the Showcase, they're showing signs it's working. Soon, the team finally clicks. Players have been learning their roles. They've been learning how to tamp down their desire for individual success for the good of the team. "Together on 3" starts to mean something. 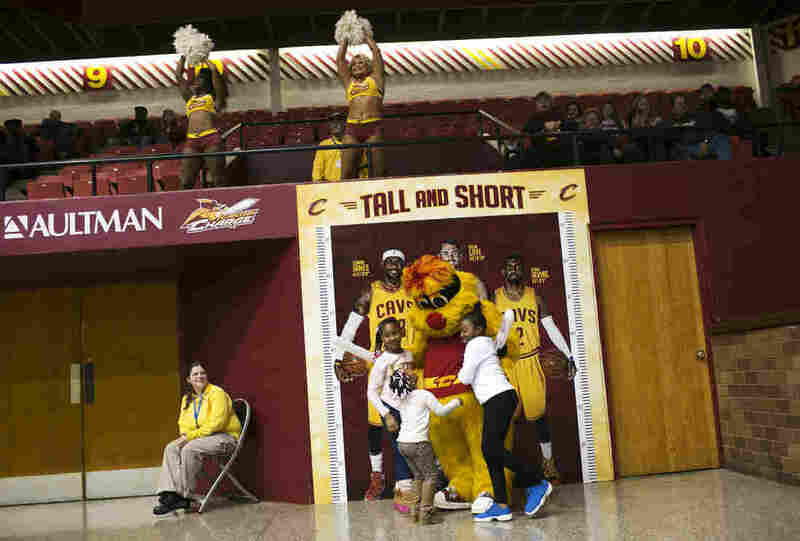 And the Canton Charge start winning — a lot. They beat the D-League team from Fort Wayne, Ind., 106-101 on Jan. 28. The Charge don't lose again until March 3. Canton sets a franchise record with 12 straight wins. The suddenly unbeatable Charge are playing unselfish basketball — making the right passes, helping each other on defense. They transform their workplace — one where teamwork and cooperation are at odds with ambition to stand out. The players talk about "figuring things out" — mainly that they'll get more attention, which is the ultimate goal, by helping their team do well. Scouts confirm this. Of course scouts look for talent. But they also like players who come from successful teams, and who are unselfish, because a D-League player who gets the big call-up isn't going to crash an NBA starting lineup. He'll end up deferring to the stars, doing the small things to help the team win. Scouts call it "staying in your lane." Still, there's human nature. Everyone wants to play — all the time. Fernandez knows this and knows his job is to battle back against these impulses. "If you're not happy here, we'll talk to the agent and we'll move you," Fernandez tells players during a practice. "I don't want to move anybody. I'm very happy with all you guys. I'm just saying we have to do what's best for the team." 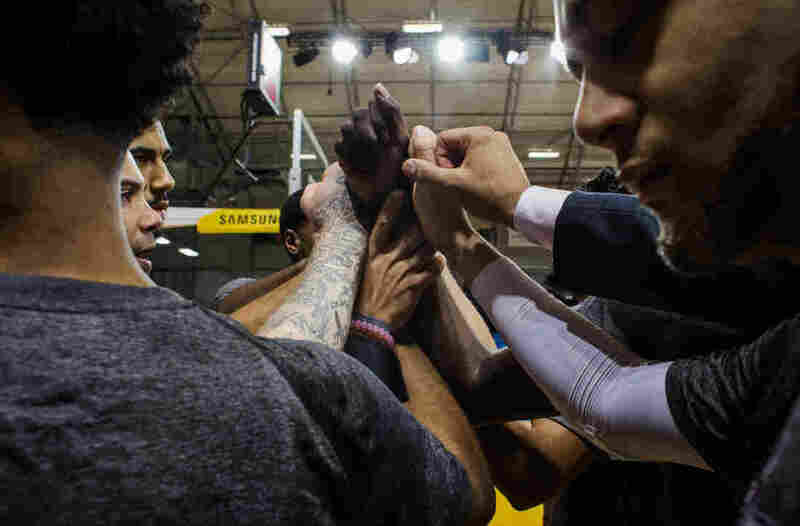 In the second half of the season, the Charge appear to have bought into Fernandez's message. They are working hard. And, another sign of success — they're starting to spend more time together away from basketball. The one guy who's helped them come together is center Mike Dunigan. 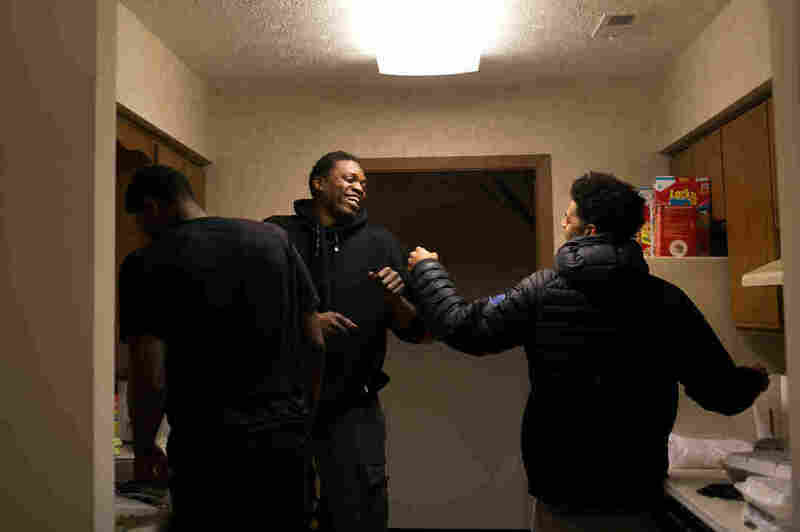 Whether it's organizing a Monopoly game at his apartment, or a casino outing for craps on a holiday, Dunigan is the team's unofficial camp counselor. He often cooks for teammates. On this night, it's shrimp pasta. Quinn Cook is there. So is John Holland, Cook's new roommate. The mood is light, the banter easy. While Dunigan prepares the meal, Cook explains the significance of Holland coming to the Charge later in the season — just about the time everything turned around. "We call him Michael Jordan," Cook says with a smile. "You know how the Chicago Bulls franchise, they were struggling before he [Jordan] got there? But he took the organization to another level. 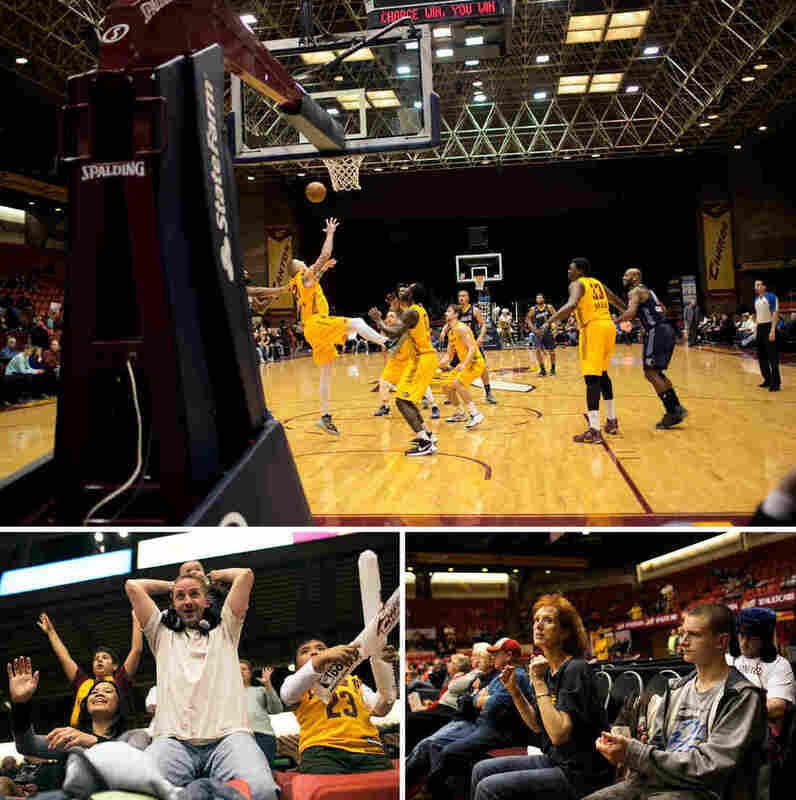 The Canton Charge — we were struggling. He [Holland] got put in the starting lineup, and we haven't looked back since." It's ironic Cook says that, because Holland never made a big splash before now. Holland didn't get recruited by any big-name colleges. "I thought I was good, but they didn't think I was good ... enough," Holland says. 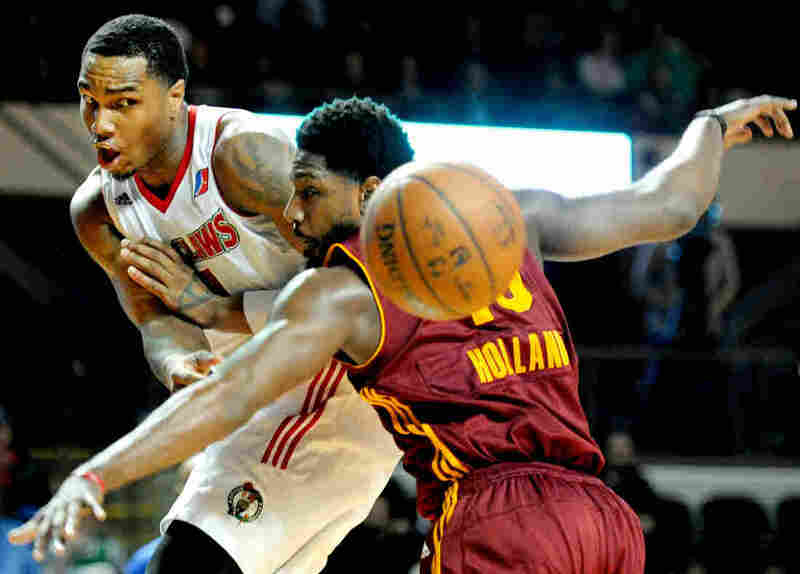 But Holland has started to make his mark in the D-League. So has Cook. He's gotten over his early season funk and accepted, as he calls it, his "different route." With a better attitude, Cook is playing really good basketball. So good, he plays in the D-League All-Star game. The regular season ends April 1. And the Canton Charge have put it all together. The team qualifies for the D-League playoffs for the fifth straight year. The first-round opponents are the Maine Red Claws. The Charge win game one. Cook scores the winning basket. Game 2 is close. Canton is ahead by 1 point with 52 seconds left. The Charge need to build on the lead, or the game could slip away. The coaches trust Cook, their point guard, in these situations. He dribbles the ball up court, drives to the basket but can't get an open shot. He whips a pass back out to his roommate, John Holland. Holland doesn't have an open shot — the defender is draped all over him. But the shot clock is about to expire, so Holland has to shoot. The long, arcing shot rips through the net for 3 points. The game is in Maine; the home crowd groans. The shot seals the win for Canton and clinches the playoff series against the Red Claws, the D-League team for the NBA's Boston Celtics. In the locker room after the game, Holland is the center of a raucous celebration. He gets a shout-out from assistant coach Damon Jones, who was known for making big shots in the NBA. "You are now officially part of the family," Jones yells as the players laugh. "You are now an honorary 'Jones.' Your name is John Jones!" Later, Holland relives the shot. "It felt good when I released it," he says. "It was an amazing shot, an amazing moment — one that I'm going to remember forever now." 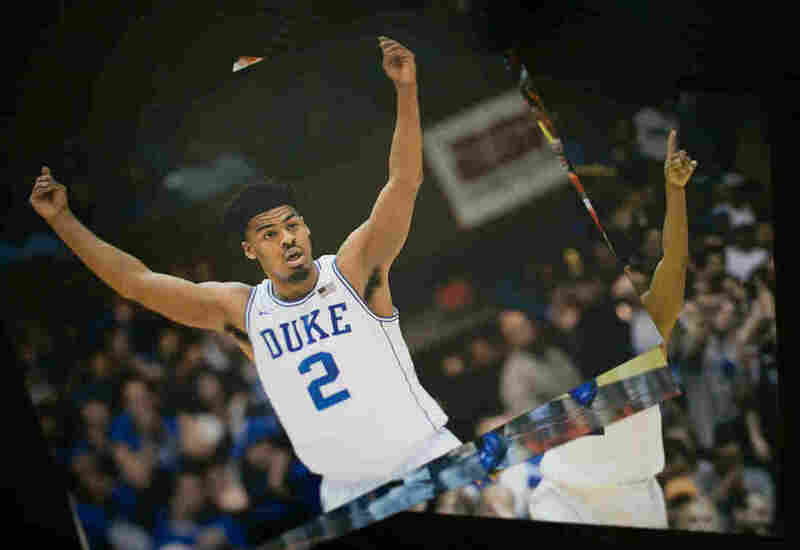 Quinn Cook is the guy who set up the shot. And a few days later, Cook gets some great news. He's been named D-League Rookie of the Year. LeBron James, superstar for the Cleveland Cavaliers, the parent team of the Canton Charge, tweets his congratulations: "Keep going lil homie." The timing seems perfect for a late-season call-up to the NBA — the kind Joel Abelson, a scout at the Showcase, predicted Cook would get. And, indeed, a call-up finally comes. But it's not for Cook. It's for Holland. Holland joins the Celtics for the last two games of the regular season and for the NBA playoffs. Standing in a hallway at Boston's TD Garden, where the Celtics play, Holland is still absorbing what happened. "I think I just sat back and screamed," he says, recalling the phone call from his agent with the good news. "I called my parents. Called my girlfriend, called everybody. I was just happy." Holland is still happy. He's 27, and now is the time to make a move. "Yeah, this was it," he says. "In basketball, life is short." Holland will make $25,000 playing for the Celtics. That's more than his D-League salary for the entire season. But for all the excitement, he sits on the bench his first game. In street clothes. Such is the reality of a D-League call-up. You get paid, but you still might not play. After the game, Holland sits in a car the team has given him to use. It's a shiny white Mercedes. He says he's excited to be in Boston, but he misses Cook, his former roommate, and all his former teammates in Canton. "I still believe in the guys back there," he says, "but it's a situation where I'm gone now. I'm a Celtic. My heart's with them. But my heart is also over here." A crowd of 3,015 makes it out in mid-April to what could be Canton's last stand: Game 2 of the Eastern Conference finals against the Sioux Falls Skyforce. The Charge are one of only four teams left in the playoffs. Canton lost the first game of this series against Sioux Falls. A loss tonight means the season is over. And bad news before the game even starts — Canton's roster is depleted. Holland is gone to the NBA. Mike Dunigan is out with a concussion. So is another key player, guard Michael Stockton. The Charge have to bring in an unproven player who's been rehabbing an injury, mainly so the team will have enough people to play. As one Canton player puts it, "we've run out of pieces." The game quickly gets out of hand. The Skyforce are too big, too fast, and they have several great shooters. Canton loses by 32 points. Two days later, players gather in Canton for their exit interviews and final goodbyes. Several players mention how the Charge were an uncommonly close bunch for the D-League. The coaches reached their goal of bringing the team together. But in this unusual workplace, together is a fleeting thing. The player's goal is to be elsewhere. Preferably the NBA. And this season, only two members of the Canton Charge achieved that. Holland was one of them. Most of the other players improved. Cook mostly shined, but he came up short. Stockton says something that could apply to everyone on the team. "I guess when it comes to it," he says, "I stand about the same place I've always stood — a guy that's got a chance, but you never know when or where that'll come from." 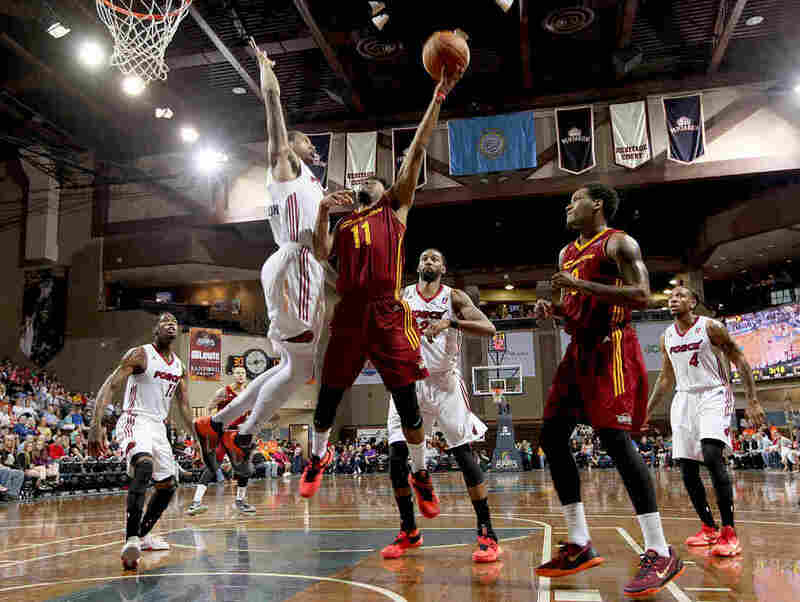 The players will go their separate ways, but the Canton Charge will be back next season. Mostly, with a new roster of D-League players hoping for their chance to be somewhere else.